Hello my lovelies and welcome to my new post! I do know all of you fashionistas are already excited about autumn coming up! Have you picked out your favorite trends yet? Are you following your favorite influencers as close as I am? 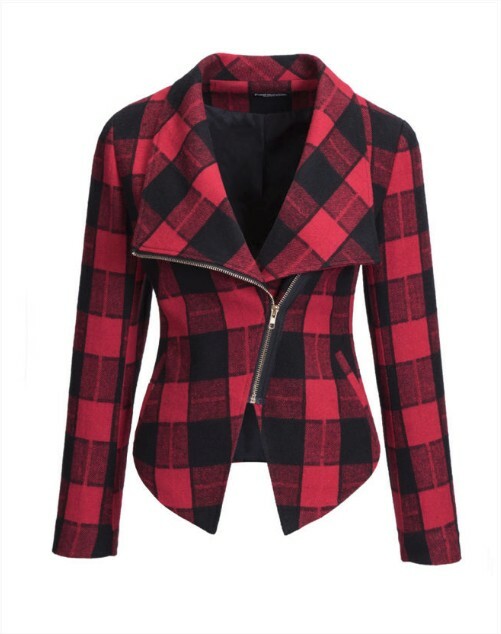 I hope you are, but even if you are not - I am here to help you out, this season like every other, to see what is trendy right now and check out all the trends straight from the runways and let you know where and at what price you can get your trendiest pieces of women's outerwear straight to your closet! The store we will be talking about today is one of my favorites and you might have already heard about it, it's called FashionMia and it offers everything a true fashionista might want and need, while keeping it on the budget friendly level. There is always something interesting to find in there - from dresses and skirts to outerwear and accessories. I picked out some of my favorites that caught my eye while I was browsing this store. I love some of these designs and I think they are perfect for transition autumn period. I particularly enjoy the tartan blazer that would fit so right with any casual outfit for pretty much any occasion. And I am a sucker for a good fur collar and black coat, so I had to show you one of those as well. There are also some very pretty plus size bodycon dresses that you guys should check out. I hope you will share what you like with me as well! What do you think about these trends and this store my lovelies? Let me know!